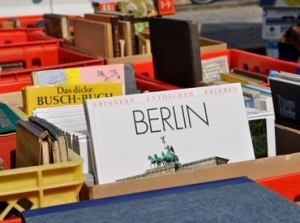 There are possibly more flea markets in Berlin than any other city in Europe. Berlin’s flea markets (Flohmarkt/Trödelmarkt) sell everything from antiques and collectables to pre loved clothing, accessories and unique designer fashion. Mainly open on the weekends you can attack one or all of them on your own or make a personalized tour with a vintage fashion guide. In Mitte, Friedrichshain, Neukölln and Prenzlauer Berg find vintage, thrift, bric a brac, records, books, new handcraft, design objects, new clothing, handmade gifts and of course food stalls to fill your belly too.